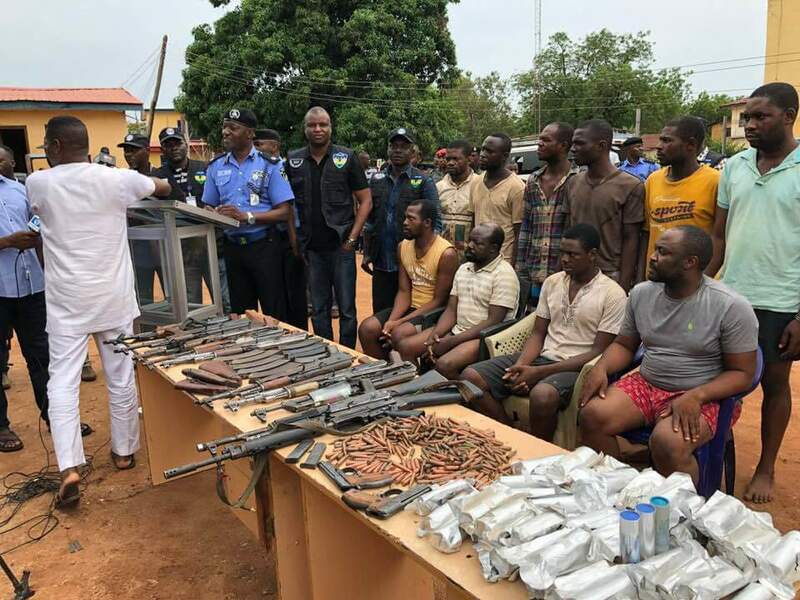 The police in Benue state has arrested some rifle dealers allegedly supplying weapons to killers. The suspects were paraded on Tuesday, May 8. The AK47 rifles dealers were paraded by the deputy commissioner of police, Abba Kyari, who was in Benue state. It will be recalled that President Muhammadu Buhari condemned the killings in the country particularly those committed by bandits saying they are being perpetrated by people with sinister plot and selfish reasons. The president’s position was contained in a statement issued by Garba Shehu, the senior special assistant to the president on media and publicity, on Monday, May 7. In tackling the issue of insecurity, the president approved the establishment of a new battalion of the army and a new police command in Kaduna state. President Buhari said security remains a priority in his administration and that he would do everything to tackle its problems. He also extended his condolences to the families of victims promising that his government would not abandon them. Meanwhile, a group hailed the Nigeria military for the effort and success in arresting the alleged mastermind of Benue killings. he Good Governance and Transparency Imitative on Wednesday, May 2, said the arrest of Aminu Yaminu is an evidence that the Nigerian military has swung into full action to restore peace in Benue and its environs. Speaking during a rally in Abuja, the executive director of GGTI, Jaiyeola Mohammed, said the group understands that Yaminu's gang were focused on diverting attention from the true situation in Benue state.